Upgrade your corn head with the John Deere 693 Poly Corn Head. This John Deere corn head sheds the metal for poly to give you a lighter and more durable head. This Poly John Deere Corn Head is becoming one of the most popular corn heads in the field. This 6 row narrow corn head can help you eat through the field like butter. 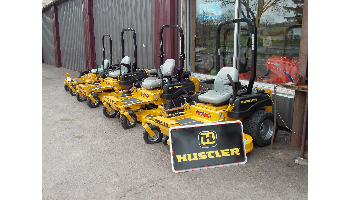 Take advantage of the great looking used corn head to maximize your harvest. 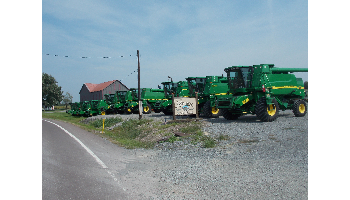 With over 50 used John Deere combine heads in stock, we are ready to be your combine Head Connection! Pair this used corn head with one of our used John Deere combines and used grain heads to make a package deal. 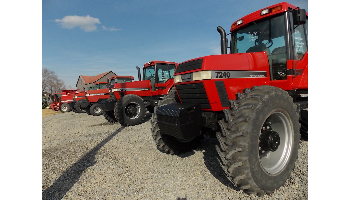 We specialize in high quality used John Deere and Case IH tractors and combines. 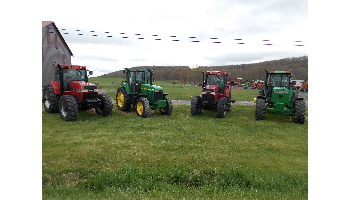 No matter what you are looking for, contact us and let us be your source for the best used farm equipment.